THE United Party for National Development (UPND) has threatened that it will throw the country into chaos should the Electoral Commission of Zambia (ECZ) go ahead with its intention to print the ballot papers for the August general elections in Dubai. UPND special advisor to the president Douglas Syakalima claimed that President Edgar Lungu was allegedly forcing ECZ to go ahead and print the ballot papers in Dubai, and threatened that there would be mayhem should the commission go ahead with their intention. Mr Syakalima said he was calling on ECZ chairperson Justice Essau Chulu to put the interest of the country first rather than that of a particular political grouping because, according to him, Zambia would easily degenerate into lawlessness. He claimed that many countries had gone into civil strife because of electoral disputes caused by electoral commissions which had failed to conduct fair, free and transparent elections. “We have information that President Lungu is forcing ECZ to go the Dubai way but this is going to cause chaos in the country. People’s anger can easily override the police, the army and any other State security wings and we do not want that in Zambia because all we know is peace,” Mr Syakalima said. However, investigations conducted by the Electoral Commission of Zambia (ECZ) have revealed that the Dubai-based printing company, Algrairi Printing and Publishing House, has no court case in Uganda as alleged by some disgruntled people, ECZ chairperson Justice Essau Chulu has said. Empty threats as we are not interested in chao but civilized democracy. The UNITED PARTY FOR NATIONAL DESTRUCTION is showing its true RED color for BLOOD! Blood thirsty animals is all they are, look at their ways! Any independent observer can see that these chaps want to start a war which they are too COWARDLY to even finish! We will sort these cretins out should they dare disturb the peace of this beloved country Zambia! Please don`t go the satanic way but go the godly way. Souls are more precious than being the President of Zambia. Elder HH don`t forget to keep the Sabbath holy. The blood thirsty beast want drink blood from innocent Zambians. Who told you these are empty threats? don’t fool yourselves that Zambians are peaceful people….. we are just too docile. Can there be ECZ without political parties? why should ECZ then paly a deaf ear to the concerns of major players…. tell me apart which other political party apart from PF is in favor of the Dubai company? can’t you ready between lines!!!!! You shallow minds PF followers, the question you should ask yourself is, why is ECZ, backed by the PF noise makers insistence on the Dubai company when it is the most costly? Both PF and ECZ have failed to answer this question, which clearly shows that there should be ‘something’ for the PF in this matter! Absolutely reckless antics aimed at undermining an autonomous public institution mandated by the constitution of the reasons republic to discharge its mandate with uninhibited discretion. Be careful with this obsession for mayhem because you could be making these infantile calls for your own mayhem instead of Zambians and their country you are threatening. If you have been recruited by printers to deliver the contract to them, be assured that the autonomy and discretion of ECZ shall not be at the peril of Zambia blood. Quit this blood thirsty antics they will bury you fast instead unless you change shaah. Holier than thou attitude of modern day Christians like pharisees always seing their friends as satanist and them as saints. Most comments of the so called christians lebels others as filthy while they are also sinners. God is for all no wonder he came for everyone. Everyone is a child of God because God created us all. Why is chaos always expected over dissagreements? Are Zambians that dumb? Zambia risks sliding into very difficult economic times if elections are not managed well. Zambia has no institutional capacity to handle the wrap that will be imposed on the country by international community. This Syakalima thing has been struggling since he left his UNZA job for a parliamentary seat and then lost the Siavonga seat. He tried Open University but they got rid of him after losing interest in his rubble-rousing. He tried UNZA again but his record of politicking in class could not get him a full-time appointment. He has tried Rusangu University but realizes he cannot earn enough there. So, what is left for him is to hope for a ministerial position in Hakainde’s government of his dreams. 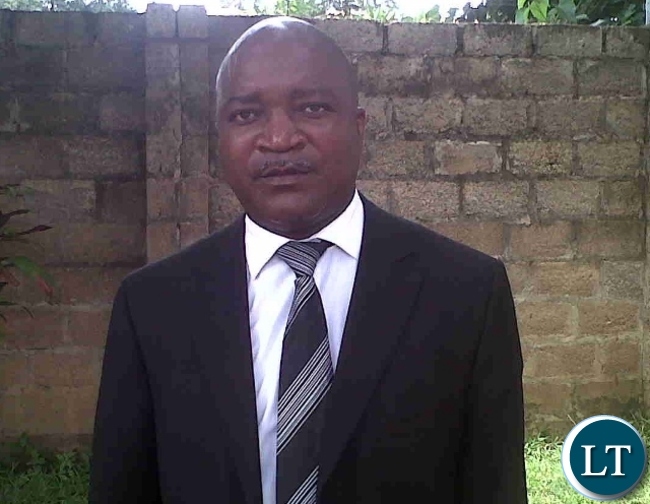 It is therefore understandable that Syakalima thinks without UPND winning, his financial troubles will persist. Hence, his rantings. DO YOU CALL RIGGING CIVILIZED? We take each other so much for granted in this country. Maybe we should fight then we can start to respect each other. One zambia, one nation is supposed to mean all the over 15 million nationals of this country. But if we demean or take away that from any of our compatriots, however much we differ in opinion, creed, colour or tribe, then it ceases to be one zambia. WHY DO UPND ALWAYS EYE DARK MOMENTS FOR THIS COUNTRY. WHO IS GONNA CAUSE CHAOS IF NOT THE SAME UPND? SEEMS YOU ARE INFORMING THE NATION ON WHAT U’VE PLANNED AS UPND. Syakalima, surely you should be talking about the checks and balances needed to make sure that the printing of ballots, in Dubai, Russia, or DRC, is not hijacked by one party. Because PF has no problems with Dubai, the UPND must find fault with that. If you suggest Sinazongwe, PF and all others MUST accept your choice, is that want you want, dougie? UPND cannot dictate ECZ. They tried the same in the past elections. It does not pay to make noise like little children. Already trying to find an excuse for losing? We shall not accept any intimidation from lungu and PF.These are no mere threats Zambia will be on fire should ECZ rig again.Lungu and Chulu will the one to blame.We don’t speak amny words but act. But how sure are You That You are winning This years élection ?please take it easy.for your information according to my own analysis PF stands a better chance to scoop This coming élection with or without rigging .kindly take it easy,sorry. ON WHAT DO YOU BASE YOUR ANALISIS? This is a sound of a losing UPND team. Period! If you have information that proves that Lungu is so determined to have a hand on it, please share it with the nation. Don’t send the nation into chaos based on your imaginations and conspiracies. The problem we have in Zambia is idle minds and their chatter. A lot of these UPND cretins are idle minds that gossip around beer halls and tarverns, some of these scoundrels are the ones that started spreading false lies about the Printing company having a court case in Uganda and lo and behold the chief architect of lies, deception, womanizing, drug dealing, back stabing by the name of VJ opens his demented gob of a mouth just to be in the spotlight again what an attention seeker! As a result we have this nonsensical debate and argument! NJALA, POVERTY, CORRUPTION, NO VISION, CONFUSION, VIOLENCE, KALOBA, ETC NAFUTI FOREVER. @2020vision keep on thinking that it will the game as usual I can asure you if you just try to print from Dubai the plane will not land in Zambia if it does a lot of blood will be lost.There will be no election. @dying legend and all you paid UPND used toilet tissues FYI all African countries are having economic problems and its better to live in PEACE and HARMONY than RICHES but with ANARCHY.. You UPND chaps want Zambia to become another Syria! God forbid such evil intentions from becoming a reality! It is you who is going ku butonga. Ni tribal voting chabe apa. The majority wins. Sonta apo wabomba sela tubombeko we mbwawe. You have been challenged to provide evidence not rumors. Anyone with data linking the printing firm with court issues should step forward to Ecz and Ecz are more than ready to withdraw that company period. BUT WHY IS ECZ INSISTING ON BALLOT PAPERS TO BE PRINTED IN THE MOST EXPENSIVE BIDDER S COUNTRY? THE MORE YOU STAND FOR DUBAI, THE MORE SUSPICIOUS WE ARE. KINDLY EXPLAIN TO THE NATION WHY, THIS COUNTRY HAS NO MONEY AND OWE HEAVILY SO WHY GO FOR THE HIGHEST BIDDER ????????? United pompwes national destruction and your threats shud know that you will be answerable to God Whether With Chaos Or Not.Remember Any Action You Take Will Be Followed After Math And U Wiil Be Taken International Court. Ni Zambia yanyoko!!?? mambala iwe, go and cause Chaos/Charles in your provincial strongHOLD!! Offering no tangible/specific policy objectives, all you at bent on doing is making sure you remove Lungu from plot 1… whether through mansonic ways coupled with ritual killings, perpetrated and encouraged by your leader. What is it that you want KU STATE HOUSE kanshi??? @Musialele si Zambia yanyoko .This year ni no Kutina its amagedoni.Twali mi timba ku matero tu kama tutula again nga mwa tumpa.VIVA HH si ti yopa inzi pama fi. But this party amazes me how can you force yourselves on people like this, syakalima ask for votes from people don’t start hallucinating you shameless old man. it is a fact that people supporting ECL are than those supporting freeman elder. Sonta!!!! And where is the police when such useless chaps issue such statements this chap needs to do some explaining. The elections in Uganda were not free and fair according to the independent observers. How do connect the printing of ballot papers to this internal logistical nightmare. Is it the work of the Printer to distribute them in the country. It is the work of the respective body in any country to that. I cannot see where your line of thought is going. Why is ECZ prepared to pay $3.7m to the Dubai Printer compared to $1.7m to Ren Form of South Africa? Can ECZ explain the huge discrepancy? Surely ECZ is not autonomous to hold these elections without a buy-in from the political parties as stakeholders? ECZ is a statutory body owned 100% by the Zambian people thru GRZ. ECZ is therefore accountable to the people of Zambia and their political parties as stakeholders. ECZ should not connive with the ruling PF party and govt to rig these elections in favour of PF and at the expense of other political parties. You are 100% right, i suppose. Now, the issue here is that the ECZ want tangible proof of your assessions? Bring it (evidence) forth to the ECZ so that we put this to bed, if not then am afraid you are nowhere being 100% right. Watch him loose again in August…. Because HH has acquired shares in the South African firm. And any way ECZ policies do not include a clause where a competitor chooses where the ballot papers should be printed. We have said no Dubai full stop.why do Dubai if ECZ is ready at all cost to print from Dubai that indicates that its true they want to rig.Bamambala will deal with you.dont think UPND is small club.Its big and strong it now belongs to all Zambians.We shall show you that we can deliver. 3. Kenya: Claimed that the election had been “badly rigged” and that “Evidence of stuffed ballot boxes were rampant. The state shut down social media to curtail information on the rigging, and delays in opening up polling stations denied millions of voters access to ballot boxes. who cares about what your america/uk says?? go hung yourself because your hh will never be president of Zambia. @musialele switch on young man.Uzanya oil.talking is easy but when things get out of hand you will have no time to explain or apologize.UPND knows its winning we shall not alow the situation were two days after ati people are still voting in Muchinga.Fire will rise high in the bulkan states. Issuing stupid bloody threats you Vampires. You’re not a party in Government and you will never will. Keep on dreaming UPND will form Government weather you like or not.We can cant fear INZI pama fi. You can’t have such a person as an advisor cocroach brained chap. No one is interested in your crazy opening and closing of your mouths. @Natural Collie if Syakalima is a cockroach you are INZI PAMA FI.You Baboon. I rarely see sense in anything said by a upnd leader! !WHY DO UPND ALWAYS WANT TO IMPOSE THINGS?HOW I WHICH I WAS ECZ CHAIRPERSON AS I COULD HAVE AWARDED THE CONTRACT TO A DUBAI COMPANY LONG AGO TO PROVE THAT UPND IS NOT THE PARTY IN POWER!! !most upnd leaders do not how to talk.when u listen to them,u would think that our country is at war! !PLEASE POLICE CAGE THESE LUNATICS LIKE SYAKALIMA! !WHICH F00L CAN AGREE TO CAUSE CHAOS IN ZAMBIA OVER PRINTING OF BALLOT PAPERS FOR THE SAKE OF HH?NEVER!! Can ECZ please explain why they want to opt for the company with the highest bid of $3.7 and not look at $1.7 offered by a south african firm. Why is the PF government in favour of what ECZ wants to do! In the interest of peace why not let all stake have a say on this very sensitive issue! I strongly suspect something fishy here! PF as a party are not insisting on ECZ awarding the Dubai printing company the tender, they are simply saying that we let ECZ do their work independently. This means that PF will respect the decision of the commission whether its South Africa or Dubai where the papers will be printed. Seriously, we as Zambians are just going to be threatened like this? Mr. Siyakalima must not know how efficient Zambia’s defense wings really are. They have thwarted every coup attempt in the past. Whether the like or dislike the seating presidents, the defended the nation fro chaos. As underpaid as our professionals are. they can used to render other bidders to be disqualified. I have heard them talking about the tendered sum (Cost) by the Dubai based against their budget. In normal terms what is the cost benefit the nation will get should the tender be awarded to the Dubai firm? If only ECZ can answer this question and not only talking about having gone to uganda and checked with the court. Nawakwi said the opposition leaders were making noise because the position of ECZ was in tandem with that of the government. Nawakwi said even in an examination, when there was a leakage, those without such an aid would always cry foul. “There is collusion today between the ECZ and the government. We are also aware that State House aides went shopping in Dubai with samples of ballot papers of previous elections,” she claimed. “There are only two new members [David Matongo and Emily Sikazwe], the rest, we have worked with them and we never heard any word from justice Chulu [Esau] and so where is this fallout coming from? That’s why I keep saying that ECZ is suffering from decisions being made from State House.” Nawakwi said it was dangerous for President Lungu to imagine that he could be a referee and a player at the same time. Back to sender. We can not sacrifice what we have built all these years because someone wants to enter state house. Will he be dropping bags of meali meal at my door steps and pay my rent and pay school fees for my children. Chaos and the devil will only happen to you sir. If you are the devil’s agent, the blood of Jesus is against you. yes we can not sacrifice all we have worked for just because one drunkard want to remain in state house.VIVA HH wina azanya oilo. This talking is careless and reckless aimed at instilling fears in would be voters August 11 and can be a cause for voter aparth. UPND should show more maturity and responsibility when are issuing statements that boarders on national security. It’s normal to disagree to agree in Democratic society like Zambia, but issuing such careless statements without proof is cause for confusions. People analyse the party you wanna put in power carefully. In life we are advised not put all our eggs in one basket. PF is as persistant as a saint in insisting that Al Ghurair Dubai Printer should print our ballot papers for our 2016 elections. Why can’t a neutral printer print these ballots? ECZ and PF have something to hide. Its do or die for PF to use this Printer. Their rigging plan is centred on this particular printer and no other printer can do the job. PF is being short sighted and this rigging scheme can come to hound them. Disputed elections can bring about chaos and strife to nations. ECL and PF need to re-think their strategy. Even when the writing is on the wall in favour of PF, it’s too soon to give up ba Syakalima. What will happen when the final nail seals your defeat in August? Muzazitundila ka. UPND morons have sensed possible defeat so they are prepairing their violent cadres by siting rigging as the cause of their loss so that they cause chaos after election results are announced but they will not succeed, even when a different printer is picked they will still find some excuses because that is their nature, they are cry babies.This syakalima guy of late has been issuing very useless threats even against the president I dont know where he gets the audasity to do that, he is taking our democracy for granted. Syakalima please don’t start a war that you can not finish. The law must visit him so he can shed some light on how UPND will cause havoc. May be those drills in the GBM gymn were the tip of an iceberg. He must explain. 39.Which law mambala iwe.Try if you think its easy. Last year a certain boxer lost to someone had an injury and never had enough training via a TKO. This year the same boxers face it off in a rematch. The defending champion has been training for one year four months only, while the challenger has been training for more than fifteen years now. The challenger is very sure of beating the defending champion this time provided that the referee does not come from South. The challenger has vowed to vent his anger on the spectators should he lose this rematch if the organisers go ahead and let this referee from South to officiate this match..
Am scared UPND will lose again….. I see PF leading in 6 provinces namely: 1. LusakaN 2. CB, 3. North, 4. Luapula, 5. Muchinga, 6. East…..
@chairman keep dreaming and banking on old way of voting this we shall wallop PAMA FI pants down.UPND is now a national team. What is wrong printing from Dubai, and not where someone who we know will lose has hands in the old printing company? Well done ECZ and Zambian Police for working hard. Stop children! No to shonongo blood thirty sacrifices. If you heard just rumours that the bank you chose to invest your 1 000, 000 is going bankrupt will you go ahead to put your money in that bank? You do not need evidence, why should you take that risk, there are so many banks. The same with ECZ, just by hearing rumours they should have considered another printer, if really they cared about there reputation. The African union observer team led by x Nigerian president mr obasanjo, declared the election in Uganda not free & fair that should have been proof enough for any reasonable institutions. Why should Zambia associate themselves with controversial companies that has left disputes behind ? What has Dubai company have to do with Uganda presidential elections? Ballot papers for uganda presidential elections were printed in South Africa. Try chaos and end up on prison at your own peril. I trust our police, they shall deal with noise makers after Edgar is confirmed winner again. Only people in UPND think HH will win. On the ground it is clear 2015 will repeat itself. Lock this useless man. I thank you. Who is this ***** who has a head which resembles a cow head trying to threaten????? You think we can allow it that there gate printed in you houses. You are a blanket . You got away with privertisation but not with this theat. Is this the advisor to HH, advising HH to be violent? The other one is William Banda. Point? HH must be a violent man. He was not always like that but now he is desperate for state house so expect violence. By the way ,who is voting for hh…only those in Southern province. You are going no where with your empty threats. And @ Redbaret if you tongas where to start a war- how many are you to defeat the non-tonga inclined tribes which are in large numbers. Be carefull wthat you ask for, We are ready for you. Today we are going after siakalima,he has to fall. We dont want chaos and strife in our country so ECZ should listen to the people’s outcries and the voice of reason from LAZ. All parties should agree on a choice of printer so that we can have confidence in the election results. The controversial Dubai printer should not be used to print our ballots for the sake of peace. ECZ must act in an impartial manner on this issue. An impression has been created that ECZ and PF are working in carhorts to rig these elections on behalf of ECL and PF. ECZ’s mandate is to deliver to Zambia transparent, free, fair and credible elections in 2016 in Zambia. We do not want chaos and strife in this country post elections. me of your aspiring candidates have their grade twelve certificates kept in foreign countries such GMB ,his certi certificate is said to be in zimbabwe while for mulenga sata in botswana.